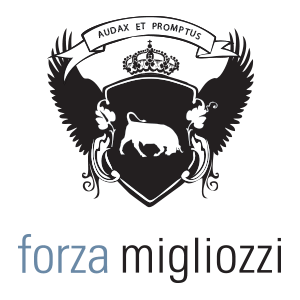 Los Angeles, CA, January 07, 2016 –(PR.com)– Forza Migliozzi has been honored with five prestigious international 2015 Davey Awards in their annual advertising competition including two gold for their work on Audi and WSH&B. Each year, The Davey Awards honor and showcase the highest standards of excellence in advertising from independent agencies around the globe. Winners of the 2015 Davey Awards were selected from ad agencies, interactive agencies, production firms, in-house creative professionals, graphic designers, and design firms. Forza Migliozzi was acknowledged for their commercials for Audi Pacific, winning a gold and two silver Davey Awards. The commercials which were created to unveil and introduce the largest Audi showroom in the United States. With the ethereal feeling of luxury and simplicity, the three :30 second broadcast commercials entitled “The Drive” and “The Walk” and “The Bay,” respectively, highlight the uniqueness of the Audi dealership’s customer experience, it’s new architectural home and their reputation for an elevated standard of customer service and satisfaction. A second gold Davey Award was bestowed upon the hugely successful WSH&B print campaign that has seen WHS&B grow from a few west coast law offices to a national legal firm with 18+ US offices coast to coast, including New York City. Forza Migliozzi was also honored with a silver Davey for their corporate website which showcases innovative design and original creative content. The Davey is sanctioned and judged by the Academy of Interactive and Visual Arts, and invitation-only body consisting of top-tier professionals from a “Who’s Who” of acclaimed media, advertising and marketing firms. Winners represent the best work from the most respected advertising agencies in the world.